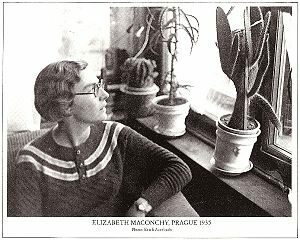 Elizabeth Maconchy was born to Irish parents in Hertfordshire, 1907. After her birth, the family moved back to rural Ireland, where Maconchy began taking piano lessons. She started to compose her own music by age six and when she was in her late teens she enrolled at the Royal College of Music. 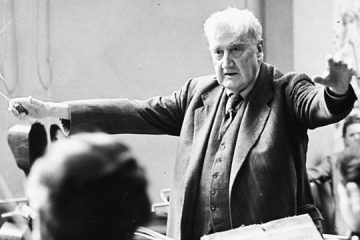 Her primary composition teacher was the English composer, Ralph Vaughan Williams, with whom Maconchy stayed lifelong friends with. However, whilst Maconchy was developing her compositional style, she realised that she was less inclined towards English pastoralism that the likes of Vaughan Williams and Holst were composing. Maconchy was more interested in central European modernism, with Bela Batrók being a particular favourite. So to complete her studies she transferred to Prague to study with K. B. Jirák. After her graduation, Maconchy returned to England, where she began her career as a composer. Her first large and successful premiere was in 1930, where her suite The Land Under Sir Henry Wood was performed in the Proms season. After this, Maconchy was in demand in premiere of her music in a wealth of different European cities. Post-war, Maconchy was in high demand as a composer and she worked with some of the leading professional ensembles, orchestras and soloists. Maconchy was soon recognised as a leader of her profession, with her being awarded the first chair for the Composers’ Guild of Great Britain. Following this, she was President for the Society for the Promotion of New Music. Then in 1987, she was appointed Dame of the British Empire. Maconchy lived in an Essex village most of her life, with her husband, William LeFanu and together they had two daughters (the youngest of which is the composer Nicola LeFanu). Maconchy died in November 1994, due to natural causes. 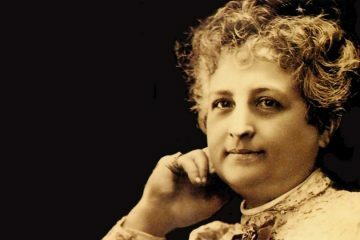 Maconchy composed in a range of different genres in her lifetime, such opera, orchestral, chamber and vocal. Maconchy was particularly keen to compose for strings, whether that be in a chamber or full orchestral setting. Her works for strings are generally her most well-known works and are the most prominent in her catalogue. Maconchy’s music has been described as ambitious but modest. A plethora of different genres have been enriched by Maconchy’s music, which makes her an important figure within 20th Century classical music. Nocturne for Orchestra was composed in 1950. 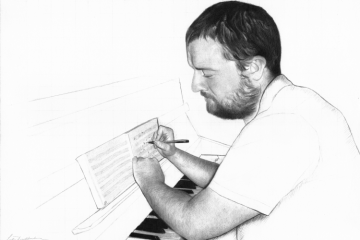 Although there is hardly any documentation about this work, it is clear from listening alone that this work is an ambitious showcase of Maconchy’s style and control whilst composing for a large orchestra. The work is orchestrated very cleverly and leaves the listener in a new realm. The evocative nature of this work is part of Maconchy’s charming style, with the atmospheres she created being rather sought after today. The work begins the upper strings playing in a high register, with harmonic resonating, creating a sparkling sound. The mysterious mood that is created effectively by the staticism in the strings is then developed throughout this work. The woodwind section begin to play angular melodies, which create some loose counterpoint, making some of these lines fugal. The strings move between two main chords to begin with, which, as aforementioned, gives a static feel to the work. The woodwind section again lead the melodic output of a large proportion of this work, making the climaxes with the brass really effective. Unlike the upper strings, the lower strings pack more of a drive into their lines, which pushes the music forward, and also creates a strong foundation for the climaxes to build upon. The harp is used to enter the music into a dream-like section, which is supported by the tuned percussion. The atmosphere created is tricky to pinpoint, I hear the music as rather chaotic in places, with a menacing streak always nearby. The way that Maconchy uses the brass is really interesting as she writes fanfares for the trumpets, but then quickly writes long and luscious melodies for them to play. This creates a powerful dichotomy, which adds to the mystery and uncertainty of the work. The explosion of sound in the middle of the work is led by the trombones, and this warm sound creates an overwhelming atmosphere of tone colour. The texture is stripped back really quickly for the violin solo, which is introduced by more brass fanfares. The rich textures that Maconchy plays with throughout this work is one of the best elements, as it highlights her skill for writing both rich and sparse textures effectively. This is the most prominent at the end, where all the instruments fade into silence, and the dream has ended. From the title Nocturne for Orchestra, we can deduce that this work is highly evocative of the nighttime. The intricate woodwind lines suggest creatures of the night – both mythical and not. There is also some inverted birdsong scattered throughout the piece, again suggesting that there is movement happening at night. Maconchy’s style of composition was unique, and cleverly binds elements from both the English pastoral style, and the gritty European styles. Her works are still popular today, especially her chamber works for strings.